The Western Canada Games training squad has already started preparations for the upcoming Games being held August 9-18, 2019 in Swift Current, Saskatchewan. The squad has been practicing weekly at the Golf Dome since the beginning of January and will continue to do so until mid-March. In addition to the weekly practices, athletes attend a fitness combine, receive a Golf Dome membership and will attend two rules seminars. 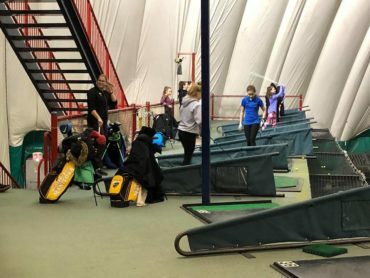 Twenty-five girls and boys ages 16 and under are participating in the Golf Manitoba performance pathway program that is overseen by Golf Manitoba’s Director of Player Development and 2018 PGA of Manitoba Coach of the Year, Garth Goodbrandson. Also helping with the program is Elmhurst Assistant Professional Bri-Ann Tokariwski. 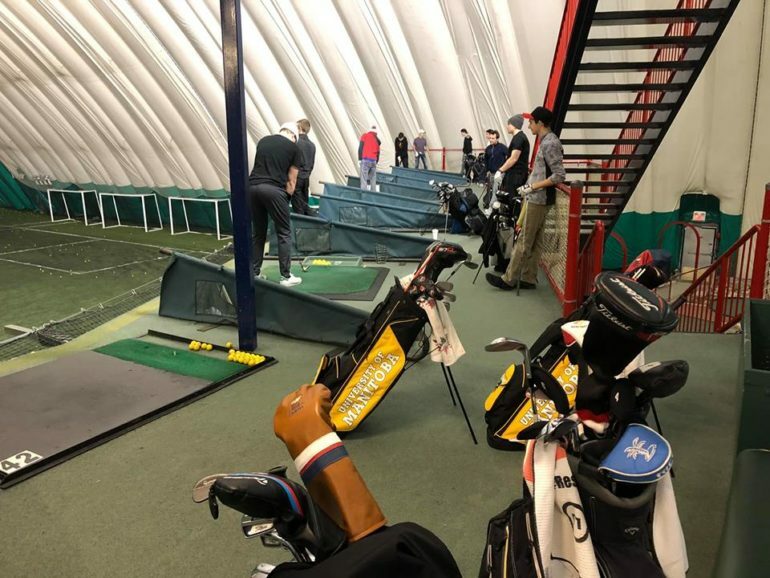 Players from the University of Manitoba Men’s and Women’s Bison Golf teams are also assisting with the indoor practices. As the finale to the training program, 5 boys and 5 girls will be be selected to represent Manitoba via a qualification schedule that concludes with the Manitoba Junior Championship. At the Games, teams will compete in both a 54-hole individual stroke-play event and a 36-hole team event. Next time you’re at the Golf Dome, watch for these dedicated and talented young junior golfers. The Western Canada Summer Games were officially launched in Regina, August 1975, in a pre-Olympic Games year, along with the decision to hold the Games every four years, one year ahead of the Olympic Games and using the same 23 summer sports disciplines. 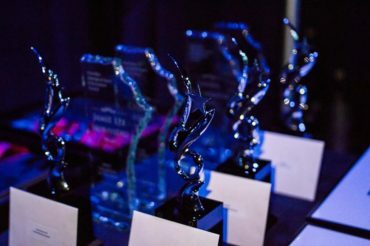 This year, over 1,700 athletes, coaches, officials and mission staff from Alberta, Saskatchewan, Manitoba, Northwest Territories, Yukon and Nunavut will be attending the 10 days of competition. These athletes, ages 13 – 20 years old, are our country’s next generation of national, international, Olympic and Paralympic champions.